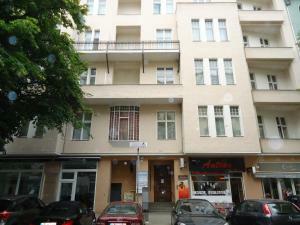 This hotel is located in the Wilmersdorf district of Berlin, 300 metres from the Kurfürstendamm Shopping Street. Hotel Pension Insel Rügen offers comfortable rooms with free Wi-Fi. Hotel Pension Insel Rügen is a beautiful Berlin residential building from around 1900. The bright rooms are simply furnished, and some have a private bathroom. A rich breakfast buffet is served each morning at Hotel Insel Rügen. Hotel Rügen offers direct bus connections to Zoologischer Garten Station, the ICC Exhibition Centre and Tegel Airport.